Learn how to practice the 3 R's - Reduce, Reuse, Recycle - to "green" your home, your yard, your life! collect old batteries; look for a bin at the checkout counter, and ask if you don't see one. has expanded their open hours to Monday through Saturday, from 9 a.m. to 4 p.m. They offer drive-through service so you don't even have to leave your car! Remember, your old electronic gadgets create e-waste that must be recycled by a qualified recycling company. It's free, and some of them will even pick up. Drop-off events are held regularly throughout Contra Costa County. Check here for the date, time, location, and specific types of e-waste being collected. The goal is to help our soldiers serving overseas call home, through generous donations and the recycling of used cell phones. Find a drop-off site near you. in San Ramon accepts items 6 days per week. You can also request a free shipping label to send in your recyclables. Don't put leftover paint down the drain! Here are some easy options for proper disposal. Have you replaced an appliance with a new, energy-efficient model? Congratulations! Use this link to find out how to recycle your old appliance, working or not. Sustainable Contra Costa is a local nonprofit organization dedicated to providing education and inspiration to create and maintain sustainable communities. The Environmental Protection Agency (EPA) blog is authored by EPA employees who share their unique perspective on environmentalism and personal experiences in protecting and improving our nation's water, land, and air. Don't Need It? Swap It! In the midwestern town where I grew up, people routinely deposited their unwanted goods - furniture, appliances, lawn mowers, bicycles - at the curb, where they magically disappeared. We didn't even need to slap a "free" sign on it because it was understood that anything placed at the curb was up for grabs. My first apartment was furnished largely from curbside finds. In California, this practice is discouraged, if not prohibited, but people still need to get rid of or acquire "stuff" that has useful life remaining. Check out these organizations for help. This is a grassroots and entirely nonprofit movement of people who are giving (and getting) stuff for free in their own towns. Searches over 45 websites and 10,000 libraries worldwide for free and swappable items being given away by people who no longer need them. Unwanted or expired medications and medical equipment such as syringes and needles are hazardous to the environment and should never be disposed of in the trash, flushed down the toilet, or poured down the sink. These groups accept donations of used books, which may be added to the library collection, or "recycled" to other readers at their book sales. This is a good place to donate your old National Geographic magazines. They also accept some encyclopedias (1998 or newer) and dictionaries. will often give cash or store credit for your books. Find them in the telephone directory under Book Dealers - Used & Rare. can be donated or recycled through several organizations; see CalRecycle. It is illegal to dispose of universal waste with regular trash. 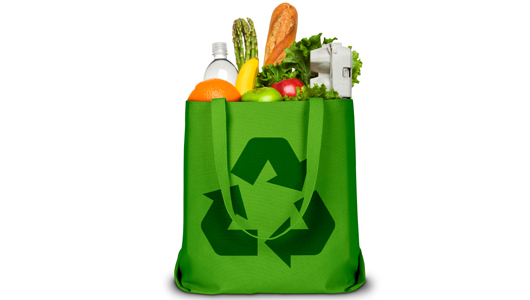 For a complete list of products and local options for reuse/recycling, see Universal Waste Recycling. Did you know that you can return your used compact fluorescent lightbulbs to Orchard Supply Hardware or The Home Depot for recycling? Bonus: You can recycle your old cell phones by donating them to Project Second Chance, the Adult Literacy project of the Contra Costa County Library. Recycle your electronic devices at a free e-waste recycling event. Check here for the date, time location and specific types of e-waste being collected. Nike stores accept donations of used athletic shoes (any brand) for recycling into various rubber products. In October 2009 the Pleasant Hill Library embarked on an exciting new partnership with the City of Pleasant Hill to promote reuse, increase recycling, and help the city reach its goals for diverting solid waste from landfills. This resource guide is intended for use county-wide to find solutions for any recycling dilemma. But "green" means much more than just recycling - be sure to check out the tabs in this guide for Green Living Ideas, Green Building, Healthy Gardens and Yards, Saving Energy, and Water Conservation. The Green Zone was created in the Pleasant Hill Library to bring together its collection of books, magazines, and audio/visual materials making it easier to explore environmental concepts and solutions. Several other libraries, including Antioch, Lafayette, Oakley, Orinda, and Pittsburg have also designated a Green Zone to promote their collections of environmental materials. These collections were made possible with the generous support of the Friends of the Library group in each community. The story of stuff : how our obsession with stuff is trashing the planet, our communities, and our health--and a vision for change by Annie Leonard ; with Ariane Conrad. The director of The Story of Stuff Project tracks the life of the "stuff" we use every day, transforming how we think about our patterns of consumption. The Story of Stuff is a fascinating 21-minute video created by Annie Leonard to begin a public discourse on a series of environmental, social and economic concerns. The Story of Stuff Project expands this discussion. We all know where to recycle the bottles, but what about the corks? Whole Foods is partnering with Cork ReHarvest to collect and recycle wine corks. ReCORK collects corks and recycles them into shoe soles. Drop-off locations include many wineries and some specialty stores. Find dozens of creative ideas to reuse your wine corks. Q. Where can I recycle clothing that is too worn out to give to charity? What about fabric from sewing projects? A. There is a market for worn-out clothing and fabric, which can be recycled into insulation and other products. See links below for more information. You can also cut up old t-shirts and towels and use them for rags. is a non-profit that collects and sells used clothing and shoes.